Trevor Thomas and his guide dog are hiking Colorado by the feel of the breeze - Denverite, the Denver site! Jul. 10, 2016, 2:37 p.m.
Hiker Trevor Thomas, aka Zero/Zero, and his seeing eye-dog, Tennille, returned to Colorado yesterday to take care of some unfinished business. They’ll be hiking the high-altitude Collegiate West route, totaling about 80 miles. Last year, Thomas made it almost all the way from Denver to Durango before a summer storm stalled his journey. 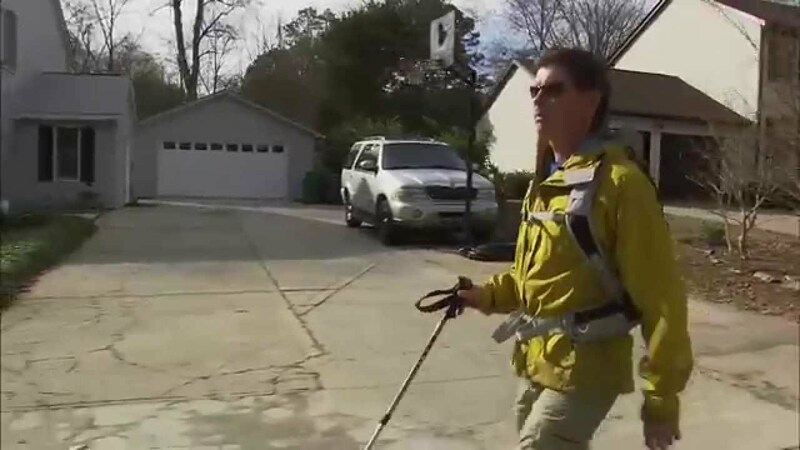 Since losing his sight 10 years ago to a debilitating disease, Thomas has attracted national attention for his solo hikes along the Appalachian Trail, the Pacific Crest Trail and the Mt. Elbert summit route, among others. Thomas hikes with the help of his companion, Tennille, the only seeing eye dog in the world to be trained as a trail dog, according to Thomas. He uses lots of little queues, like the feeling of the breeze, sounds and changes in the temperature, to navigate the trail. He also has friends who help him translate maps and other crucial material to an audio format, the Denver Post reported last year. Thomas has travelled more than 20,000 miles on foot, and 3,000 miles with Tennille. They have set records for distance navigated and altitude climbed by a blind person and a canine guide. Thomas founded the Team FarSight foundation in 2013 to educate children and the newly blind not only on the challenges of living without sight, but also on the potential for leading a full life. Thomas blogs, speaks, writes and, of course, hikes to inspire others with disabilities to achieve more. Follow Thomas and Tennille’s adventures on Instagram at @team_farsight.